Originally designed by Eero Saarinen to "clear up the slum of legs," this replica Tulip dining table is a classic example of space-saving, mid-century design. 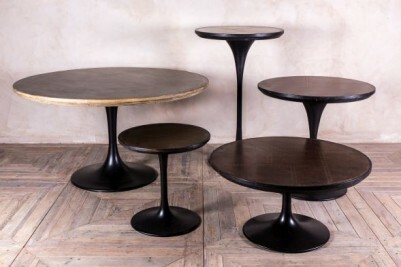 The iconic pedestal base is made of steel and has a black, satin powder-coated finish. A cast iron insert has also been put into the base to make it more sturdy. 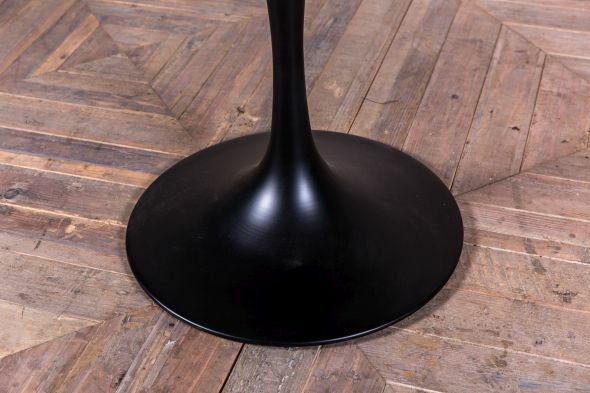 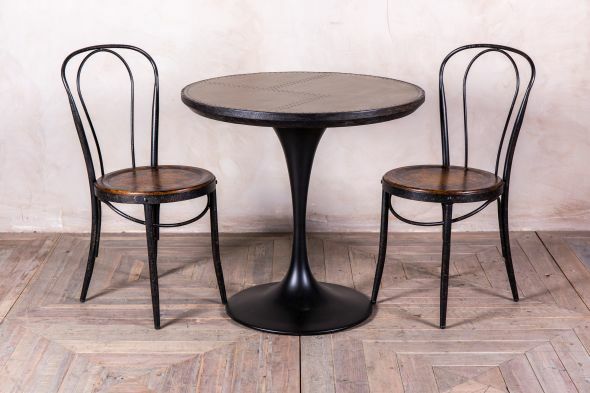 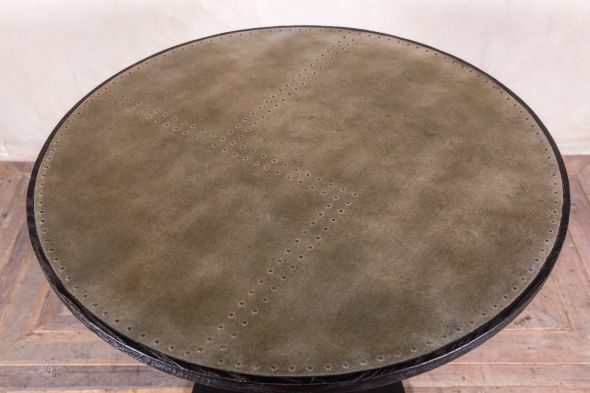 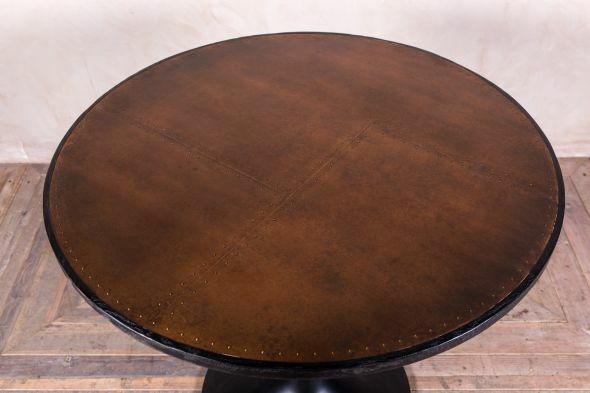 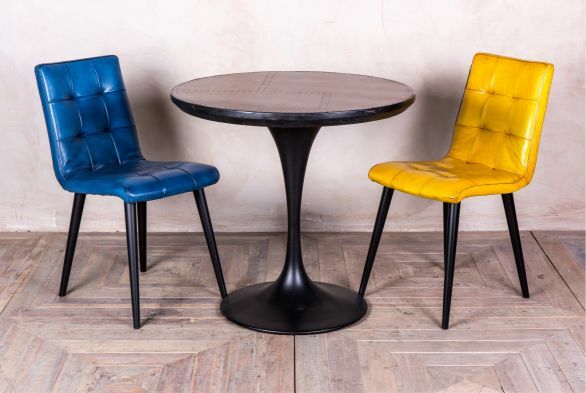 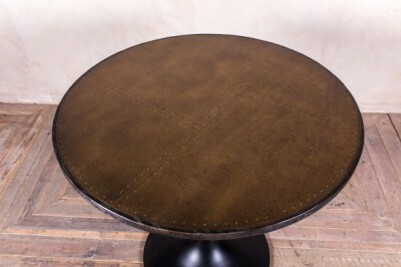 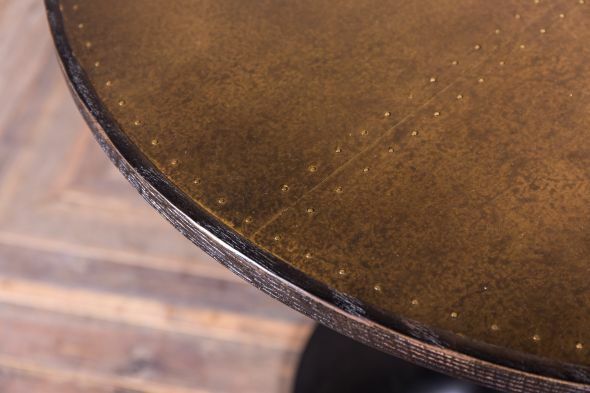 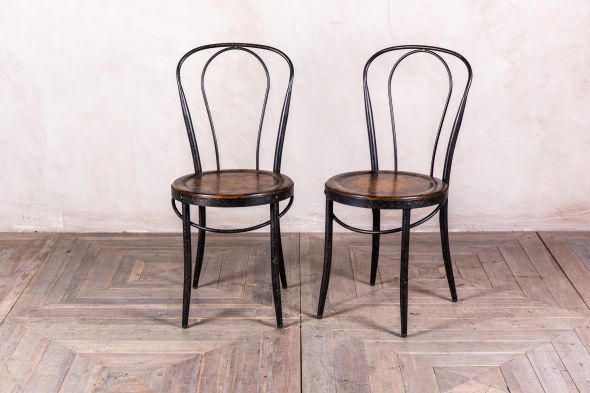 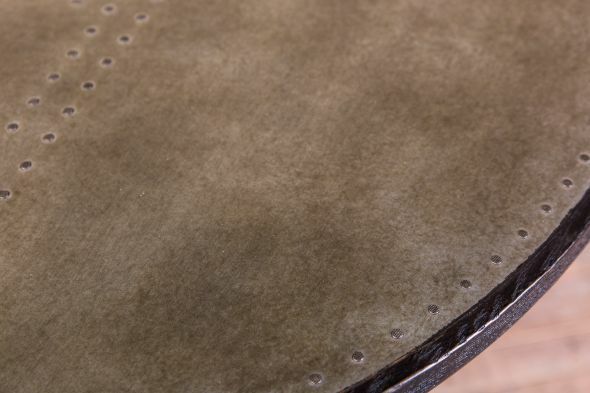 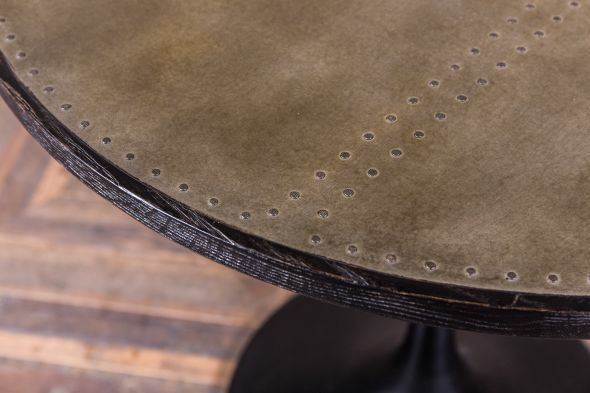 The tables can be provided with your choice of a zinc, copper or brass top; and all the tops come edged in oak with distressed black paintwork. You could purchase this table for your home kitchen/dining room; it is perfect for smaller rooms due to its space-saving design. 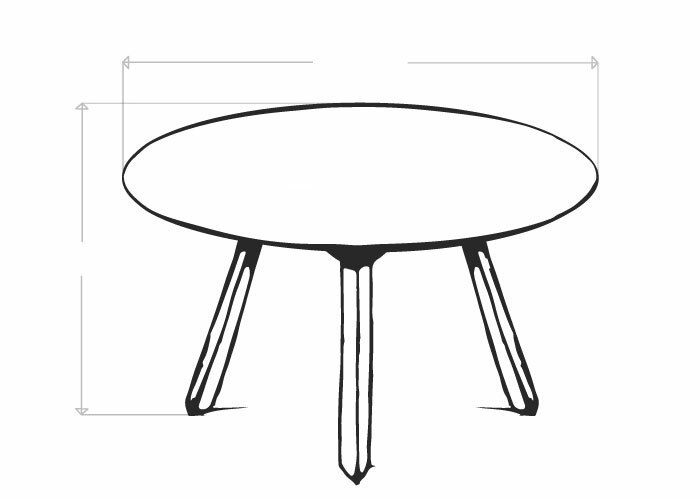 These tables are also perfect for commercial environments, such as bars, cafes and restaurants, due to the extra leg room they provide. 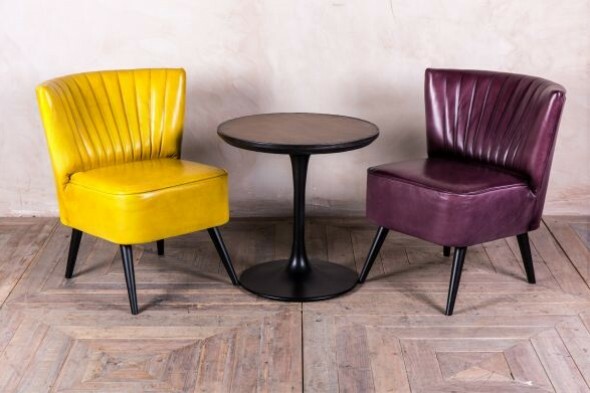 As the design has kept its appeal throughout the years, it would also freshen up either a vintage inspired or contemporary interior. 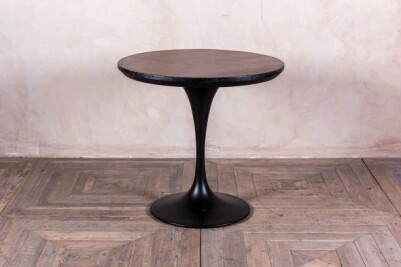 If you like this design, please view the rest of our Tulip style tables; we have a larger dining table, coffee table, bar table and side table in stock. This Tulip dining table is a new item, remade in the style of Saarinen's original design. 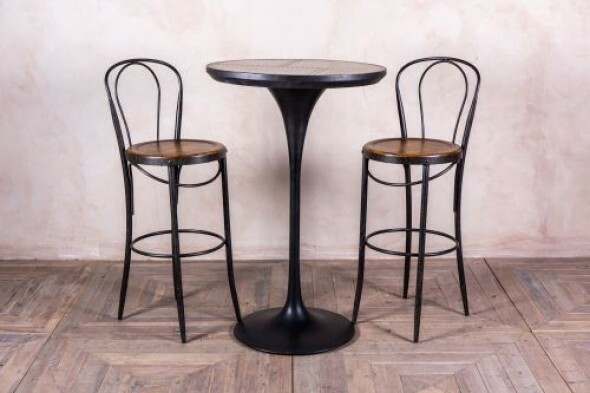 Other items pictured are not included in the price, but are also available to buy. 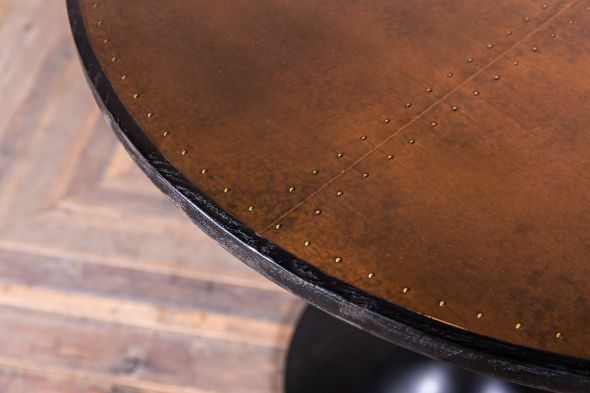 Please note that the stud lines on the table top may vary from those pictured.